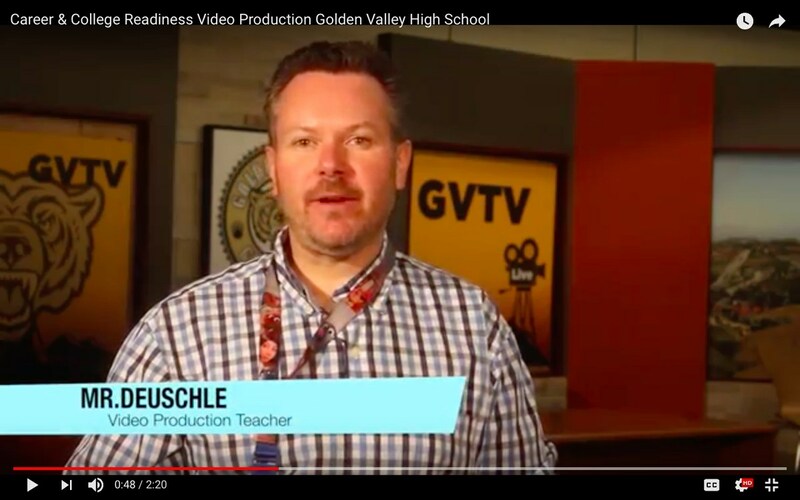 Beginning and Advanced TV Production students create a daily live news program (GVTV). Students are responsible for the entire production both in front of and behind the camera. In the video you will see students in the Information and Communication Technologies Career Pathway prepare for post-secondary education and careers in the industry. In the video you will see students engaged in the Photography Career Pathway and learning to use advanced equipment. Ms. Rios instructs an Exploring Careers Course for 9th graders and Foundation in Education A/B. Both classes are after school at Golden Valley High School. In the video, Sports Medicine students explore health career options and post-secondary education. In this video you will learn the importance of career pathways and how to sign up. Also, you will find information pertaining to the Fire Academy Career Pathway at Golden Valley High School.